Home E What is Ethereum Classic (ETC)? Ethereum Classic is – as the name suggests – a clone of the Ethereum cryptocurrency. It was created because of a hard fork on the Ethereum cryptocurrency. If you don’t know what a hard fork is, it’s basically the process by which piece of software is changed so dramatically that it’s unable to work with any previous versions of itself. The term derives from the “merkle tree” system employed by both blockchain and GIT (source code management) to handle incremental updates for data. In terms of Ethereum, a major vulnerability was discovered in the way that funds were handled and stored in what’s known as a “DAO” system. DAO stands for “Decentralized Autonomous Organization” and is basically a smart contract (application) which allowed for a “pot” of centralized Ethereum funds to be allocated to projects built on the Ethereum platform. In other words, the DAO was to cryptocurrency what venture capital is to startups. The process of being able to pool currencies and have them released for particular decentralized apps meant that the participants would have to ensure that they agreed with all the technology used to create those apps etc. 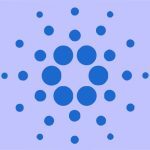 Unfortunately, despite it raising $150 in a pre-sale, several members of the community pointed out a flaw in that if you had your funds in the DAO, and wanted to withdraw them, you’d have several choices. Firstly, you could create a “child DAO” which could be used to allocate funds to other projects, and secondly you could simply save your Ethereum tokens to your own account again. Whilst this is entirely safe on paper, the problems arise when you try and transfer the funds back to your own account – a loophole existed whereby an anonymous user could in effect repeat the transaction, draining the DAO of all its funds. We’ll cover the loophole further down the page. For now, all you need to know is that Ethereum and Ethereum Classic are the same thing, save for the hard fork that fixed the recursive calling bug. This has lead to a much popularized split in the network, leading to a lot of volatility within the Ethereum community itself (and volatility in its price). There’s no secret that this is Ethereum but without the new updates delivered in the “DAO fix” hard fork. Whilst this wouldn’t normally matter, the most important thing is that it means any developments on the “official” Ethereum branch are not accessible to the “classic” one, which includes the likes of Proof Of Work (PoW) to Proof of Stake (PoS), etc. With this in mind, you may ask why it exists if it’s literally just an older version of the second most popular cryptocurrency. The answer is more political than technological. Would mean that the “new” code was not backwards compatible – essentially preventing the problem from happening again from a centralized (fundamental) perspective. Check Out Also: What is Electroneum (ETN)? The point here is that some in the Ethereum community suggested that the DAO problem was a human-made error, not with the core technology itself. Thus, to change the core Ethereum code was akin to rewriting the Internet’s standards just because a “website” crashed. As such, when the hard fork was introduced, the underlying community (which includes everyone from developers to contributors) became split between wanting to support the new updates or actually proceeding with the older code. As mentioned, the older code wasn’t the issue but how the new fork would undermine several core ideals held by the Ethereum community, namely that “code is law”. The fact that the Ethereum network itself wasn’t to blame made many hardline activists think that the core problem was with the DAO, not the network. Either way, it happened the way it did and ultimately lead to a split in the community. Ethereum Classic was released in July 2015 but unfortunately, the majority of the best developers had already moved onto the new fork, leaving most the ETC by the wayside. 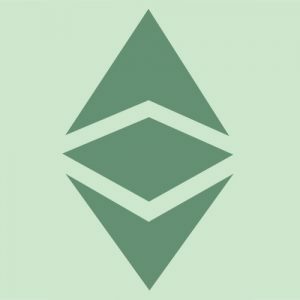 If you’re an investor looking at ETC, the reality is that it’s not likely to be adopted over the original Ethereum, especially considering the depth of expertise working on the main ETH branch. 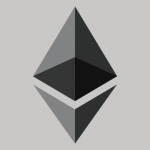 As mentioned, the bulk of Ethereum’s code came from Vitalik Buterin (Ethereum founder). Since it’s an open source initiative, anyone can download, change and propose updates to the code (known as pull requests). The important thing to consider is that since ETH continued down its own path, all of these updates have been applied to the new fork only, leaving the ETC community to try and play catch up. As you can tell, it’s the money not technology that’s been pushing ETC. 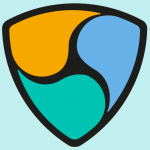 Partly due to wanting to disrupt the ETH market cap, partly to try and line their own pockets, the group behind its adoption seem intent on proving a point. As explained above, the ETH token was split with a hard fork – the older token was maintained as ETC (Ethereum Classic) which maintained a core community who refused to upgrade to philosophical grounds. Again, the main reason for Ethereum Classic to exist was more a political argument than technical or economic. The underlying point is does highlight – however – is that due to the completely decentralized nature of these solutions, without any central leadership structure, the various coins can easily be undermined. Obviously, since this is just Ethereum but with all the old code, the system’s growth has closely followed that of its more widely-used namesake. The most important factor to consider with this is that in order for Ethereum Classic to become adopted by the mainstream, not only does it require a large amount of computing power (miners) but it also needs a lot of functionality which the likes of ETH already has access to from its community. From an objective financial perspective, it makes NO sense to back ETC when the other version of the currency is healthy and has the backing of the wider community. 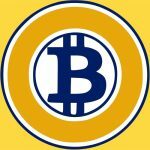 When examining the growth of a cryptocurrency system, what you’re really looking for is adoption. 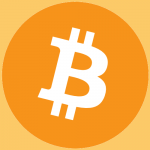 No cryptocurrency is a currency in that it’s not backed by any assets. Whilst Ethereum doesn’t proport itself to be a currency in the same way that Bitcoin does, its entire network and ideal basically have duped a lot of people into thinking its tokens are worth something (they’re not). The point is that to measure Ethereum’s adoption, you’re looking for people utilizing its infrastructure and network to create viable smart contracts (decentralized applications). The value of its underlying architecture is basically about which companies / entities are actively involved with it. This is the main difference between the official Ethereum and the “classic” derivative. To this end, ETH is the hands-down winner, with over 200 of the most established financial institutions supporting it via the Enterprise Ethereum Alliance (EEA). The EEA was established to use the blockchain technology to run smart contracts at Fortune 500 companies for companies including… Microsoft, JP Morgan, Toyota, ING, etc. Ultimately, whilst usage and trading volume of ETC has grown with its more famous counterpart, the market is so bullish right now that this is expected across ALL the altcoins. The real test will come when the market bottoms out (people realize none of the coins actually make any money), which is where the first wave of closures will happen.